Chances are if you’re on this website then you’ve almost certainly at least heard of Fantasy Sports. However, the finer details of this burgeoning area of sports betting still remain something of a mystery to a large percentage of the population. In a nutshell, a fantasy sports player will draft (choose) a team of players at a certain cost from whichever sport he or she wishes to bet on. Players pick a fantasy team of players who they believe will outperform any other combination of players over a given time period (could be over a day, could be over an entire season). Depending on the sport and whichever league the player signs up to, players are awarded points based on certain criteria (ie: goals scored in hockey, successful passes made in football, home-runs made in baseball etc). The person or people who place highest in their respective fantasy leagues will take home the spoils (cash). There are all manner of local, national, and international leagues covering all manner of different fantasy sports. Some people might just play among friends, some via traditional media such as newspapers or magazines, or in bricks and mortar betting shops or casinos. However, it’s the online arena of websites and apps dedicated to Fantasy Sports which has really seen this 70 year old industry hit multi-billion dollar industry status. In this article we’re going to explore the multi-billion dollar Fantasy Sports industry, how it came to be, its evolution, and some of the most popular sports involved. It is widely acknowledged that the basic concept of fantasy sports betting was the brainchild of Californian businessman Bill Winkenbach in the last 1950’s. His vision of fantasy golf involved players each picking teams of golfers. At the end of the tournament the player whose team has the lowest number of stroked would win the ‘league’. New York magazine editor Daniel Okrent is often credited with ushering in a new age of fantasy sports betting after innovating what became known as “Rotisserie League Baseball” in 1980. The system was named after the restaurant where Okrent and his friends used to meet in New York, La Rotisserie Francaise. Due to Okrent and his friends’ prominence within the media industry, word of the Rotisserie League spread fast. By the end of the decade there were thousands of such hobbyist leagues, for both baseball and football. 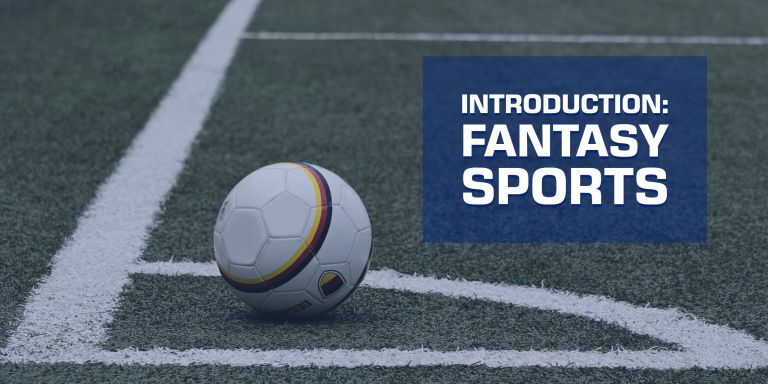 Titles such as the annual Fantasy Football Index (1987), Fantasy Sports Magazine (1989) and Fantast Football Weekly (1992) all helped spread the word and feed the ever-growing hunger for fantasy sports enthusiast. Within a decade, the hobbyist activity for groups of friends had already spawned multi-million dollar businesses. The word ‘Fantasy’ was never actually used by Okrent and co. It was in fact coined as an alternative to ‘Rotisserie’ and a way for firms hoping to monetize their services without having to credit or pay Okrent et al. Of course the birth of the internet in the 1990’s changed the Fantasy Sports landscape once again with services such as RotoNews.com and RotoWire.com helping to make Fantasy Sports accessible to an even wider audience. By the early 21st century, Fantasy Sports betting had become a billion-dollar industry. Since 2007 much of the attention and activity within the Fantasy Sports market, especially online, has come from the increased prominence of Daily Fantasy Sports. Daily Fantasy Sports (DFS) work along the same lines as standard fantasy sports competitions except that they are contested over a much shorter period. Rather than the league competition running over an entire season DFS competitions can run over a week or even over a single day. DFS games were in existence as far back as the early 1990’s when competitions ran in regional newspapers. The games attracted hundreds of thousands of players and they also lead to the conversion of sports statistics in to a simple scoring system – one on which many models are based to this day. The first significant DFS site online was Fantasy Sports Live in 2007, followed by NBC’s SnapDraft in 2008 and FanDuel in 2009. Much like in online poker, DFS games run as either cash games or guaranteed prize pool tournaments. DFS online has had a significant impact on the industry, giving players access to a much wider player pool and hence considerably larger prize pools. The automation aspect of online DFS has also permitted players to engage in different formats quickly as easily. Formats include heads-up (one to one) competitions, ‘Double-up’ tournaments which pay the top 50% of entrants, and guaranteed prize pool tournaments which pay out a certain % of entrants with payments increasing the higher up a player finishes. The similarities with online poker don’t just end with the formats of the games, and in the last few years many successful online poker players have transitioned to DFS. The same strategies which served them so well at the poker tables have been successfully transferred to the world of DFL. Most famously Aaron “aejones” Jones, an online poker prodigy who made his first $1m from poker at the age of 21, won the Draft Kings Fantasy Football World Championship in 2016 for $5,000,000. DFS has really come into its own over the past 5 or 6 years with the two major players, DraftKings and FanDuel receiving major venture capital investment. With the additional publicity and money, DFS competitions with huge cash prizes have emerged, some into the millions of dollars. The most popular DFS games are found in the North American sports of NFL (American Football), NBA (Basketball), NHL (Hockey) and MLB (Baseball). Plenty of other sports are represented, however, including association football, cricket, rugby, and even e-sports. The question of whether or not betting on fantasy sports, especially over the internet, are legally viable in the US is a complicated one with no easy answers. The issue tends to be how individual states classify a game of chance as opposed to a game of skill. While there is undoubtedly skill involved in being successful at DFS, there is also an element of luck. As such DFS has never been offered in Arizona, Iowa, Montana, Louisiana, and Washington. These states all have laws classifying a game which involves any chance as gambling. Other states laws are less clear-cut and it has really been down to the sites discretion as to whether they decide to operate in certain areas. Most operators tend to follow the lead of FanDuel and DraftKings as to where to offer their services. While the legal situation is still hotly debated in the US, things certainly seem to be moving in favour of the acceptance of DFS. To date some 19 states have implemented laws classifying DFS as a game of skill with many others scheduled to follow suit in the near future.